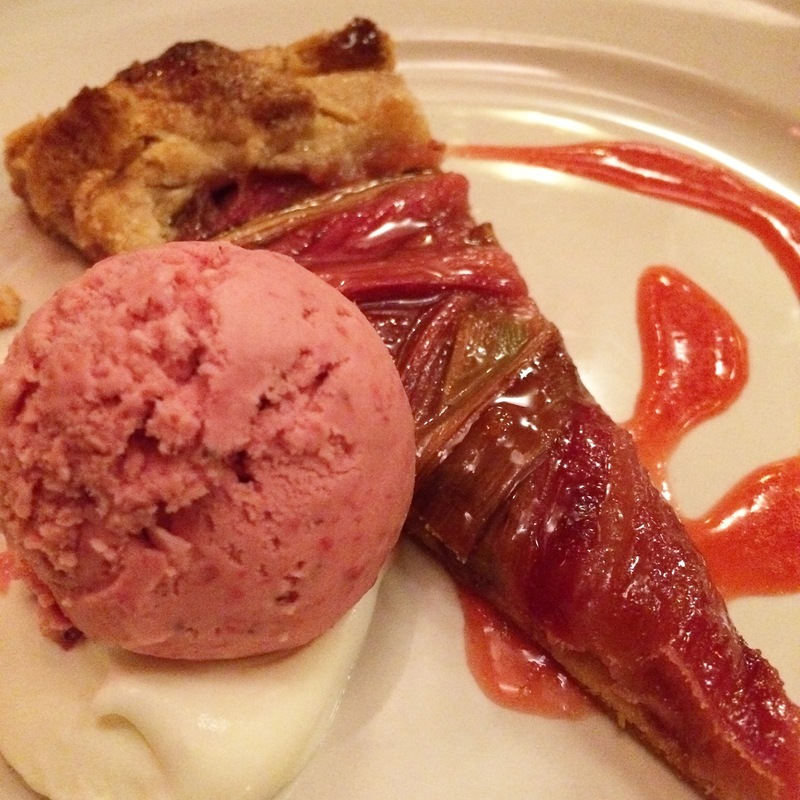 After stalking the Chez Panisse menu for weeks to solve the mystery of what would be served while I would be in the San Francisco area, it became apparent that rhubarb season was nigh based on its ubiquity on their menu of offerings. 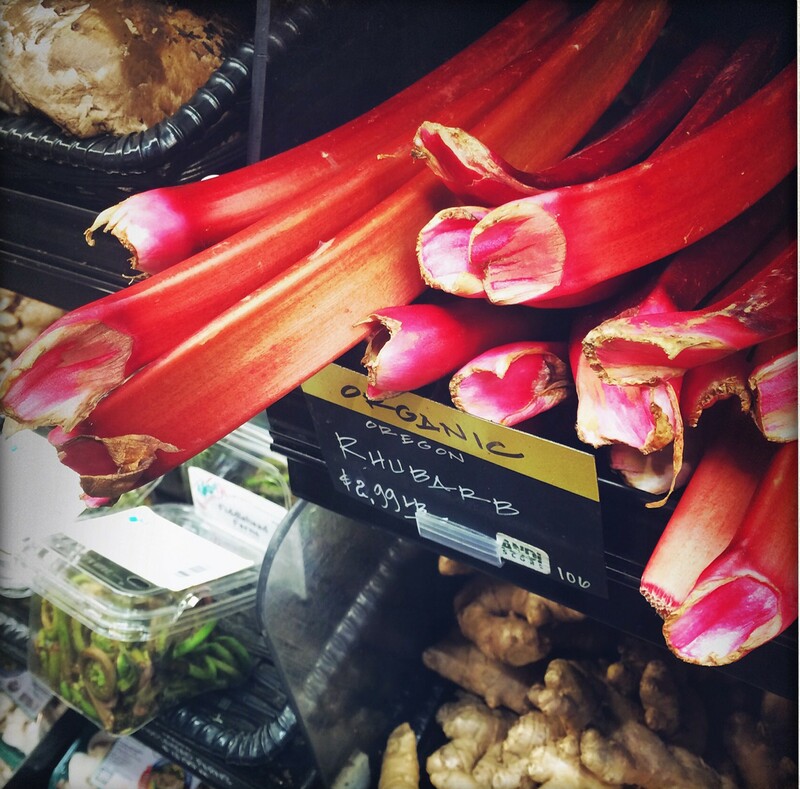 Posthaste, I phoned my local Whole Foods to ensure the produce section was stocked with those stalks of red richness; before the employee could finish confirming their presence, I was in the car en route to pick up as much elusive rhubarb as I could. Rhubarb season is notoriously short– well at least it is in Georgia, given that it is not grown here. I believe the season lasts approximately 12 hours: you blink and it is gone. 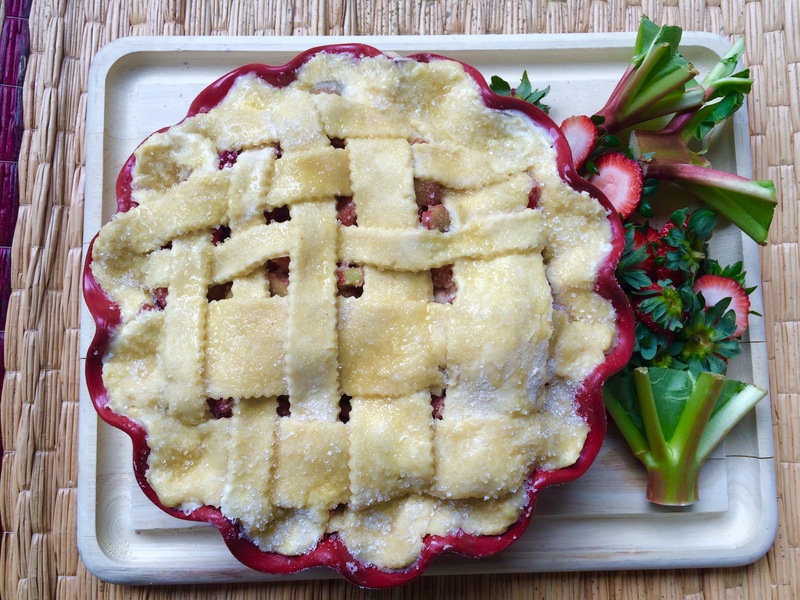 For this reason, once I catch wind of rhubarb’s return, strawberry rhubarb pie (and other such strawberry-rhubarb dalliances) must happen. 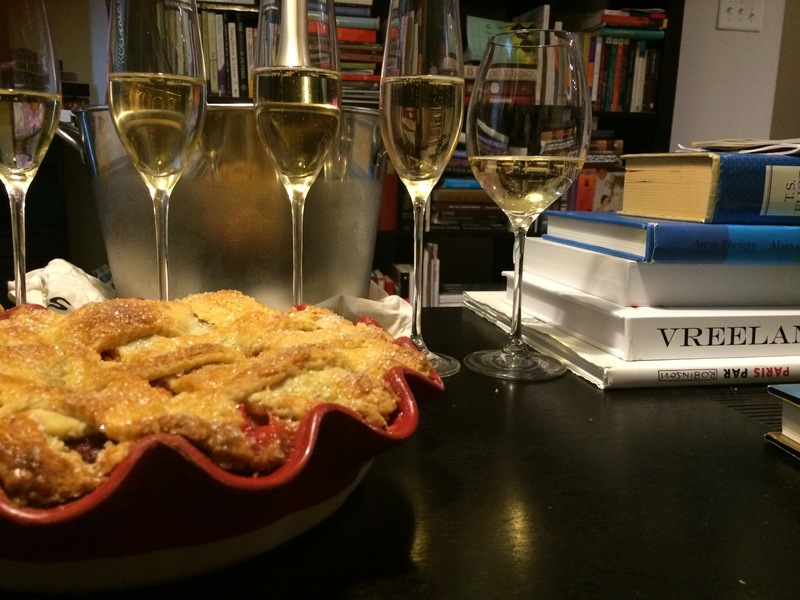 Yesterday’s pie was accompanied by home-churned lavender Tahitian vanilla ice cream and a bottle or two of the bubbly stuff.After all, the only thing better than strawberry rhubarb pie is strawberry rhubarb pie and champagne. 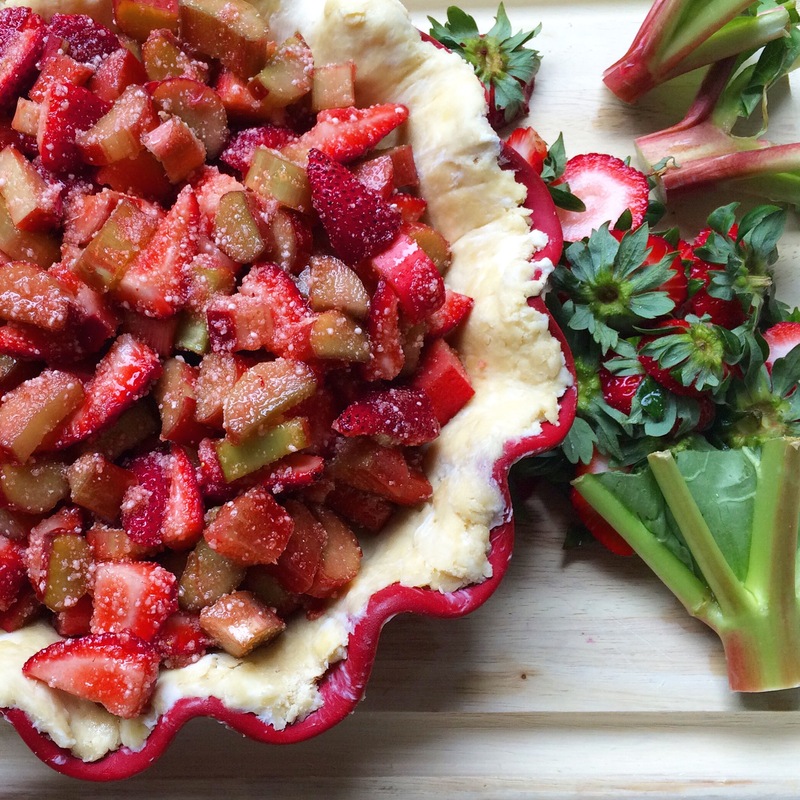 I have at least one more strawberry rhubarb pie left in me before the summer. Perhaps it is time to head back to Whole Foods and chop up some rhubarb for freezing before my 12 hours are up. She really tried it with 12 hours!